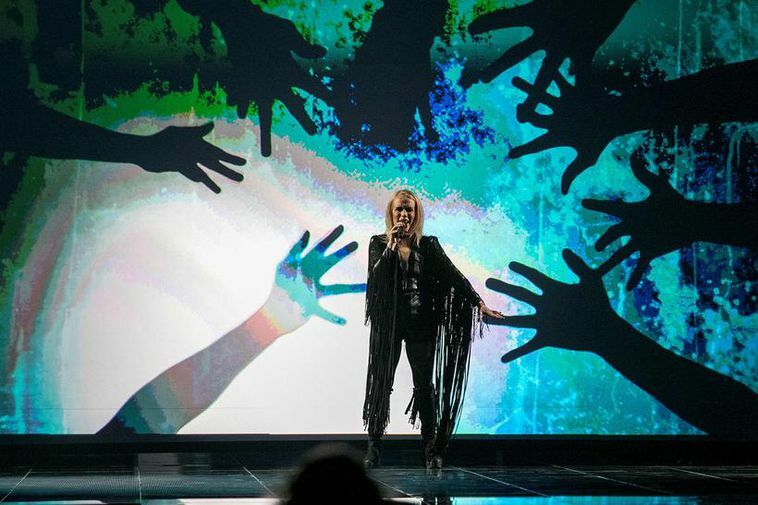 Greta Salóme on the Eurovision stage in Stockholm. Iceland’s representative in the 2016 Eurovision Song Contest has decided to sell the dress she performed in – with all proceeds going to the Step Up app, which helps victims of bullying, particularly cyber-bullying. The head of the Swedish anti-bullying association read about Greta Salóme’s Eurovision song Hear Them Calling and felt that the message of the song chimed in with what Step Up stands for. They met when Greta Salóme was in Sweden for Eurovision and that is where the idea of auctioning off the striking outfit – with proceeds going to the association – came from. The dress was designed by Greta herself together with Elma Bjarney and Filippía Elísdóttir.